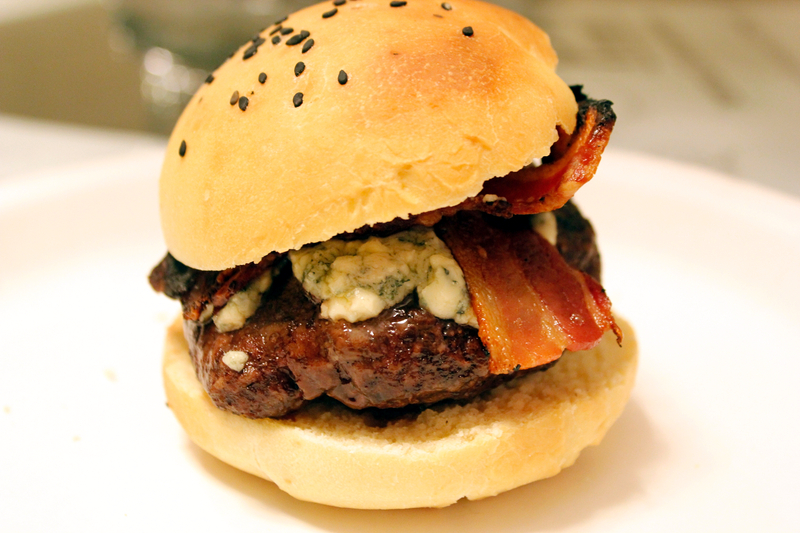 In our quest for the perfect burger, the classic bacon blue cheese burger had to make an appearance. It took me about 20 years to finally get to the place where I could honestly say that I enjoy blue cheese - either that or enough taste buds have died that I can no longer taste what I didn't like about it. Blue cheese on a cracker with something sweet is great, Uncle John and Aunt Patti have a killer gorgonzola sauce that they serve with prime rib every Christmas Eve, buffalo anything with blue cheese keeps me coming back for more. I'm still a classicist when it comes to burgers, though - I usually like American cheese or cheddar, some sauteed onions, and ketchup with the beef served practically still Mooing. Bacon is a nice bonus. 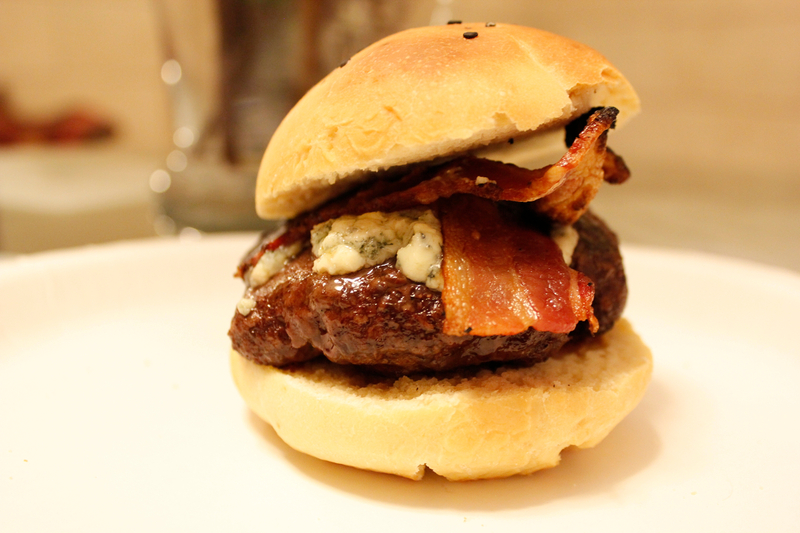 Bacon blue cheese is a nice change-up though and it's one of Katie's favorites so we whipped one up while testing our new sourdough hamburger buns. 4. Top with blue cheese and close lid for a minute or two to soften cheese. 5. Place on split bun (toast if desired), top with bacon and ketchup, and enjoy.